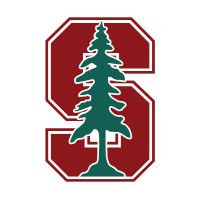 Leland Stanford Junior University, commonly referred to as Stanford University or simply Stanford, is a private research university in Stanford, California in the northwestern Silicon Valley near Palo Alto. It is one of the most prestigious universities in the world. Graph Search, Shortest Paths, and Data Structures via Coursera 4 weeks long 4 weeks long 22nd Apr, 2019 No reviews yet. Probabilistic Graphical Models 3: Learning via Coursera 5 weeks long 5 weeks long 22nd Apr, 2019 No reviews yet. Greedy Algorithms, Minimum Spanning Trees, and Dynamic Programming via Coursera 4 weeks long 4 weeks long 22nd Apr, 2019 No reviews yet. Antimicrobial Stewardship: Improving Clinical Outcomes By Optimization of Antibiotic Practices (CME) via Stanford OpenEdx 7 hours worth of material 7 hours worth of material Self paced No reviews yet. 酒店业内的人口贩运问题（广东话） via Stanford OpenEdx 1 hours a week 1 hours a week Self paced No reviews yet. 人口贩运问题的公众普及教育（广东话） via Stanford OpenEdx 1 hours a week 1 hours a week Self paced No reviews yet. 餐饮业内的人口贩运问题（广东话） via Stanford OpenEdx 1 hours a week 1 hours a week Self paced No reviews yet. Antibiotic Stewardship via Coursera 2 hours a week , 4 weeks long 2 hours a week , 4 weeks long 6th May, 2019 No reviews yet.